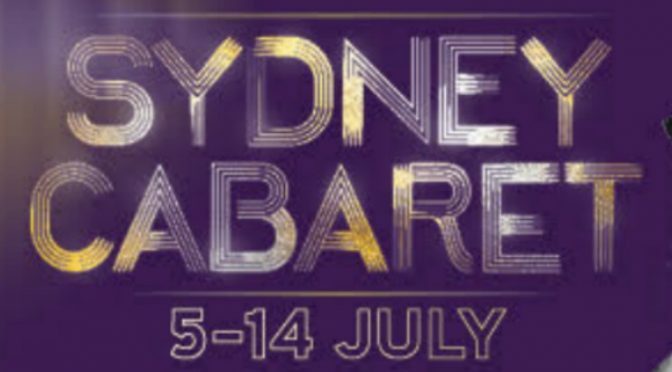 The 2019 Sydney Cabaret Festival features the legendary Tony Award-winning Jennifer Holliday, appearing for the first time on Australian soil, alongside local legends like Phil Scott and Jonathan Biggins, to New York downtown darling Natalie Joy Johnson.
. Sydney favourite Tim Draxl will appear in a world premiere of his new show, along with Kim David Smith, Reuben Kaye and Brian Nash, plus circus and variety show Cheeky Cabaret, direct from their home in Brunswick Heads. Australian pop culture fan Tim Benzie returns to Sydney with the hilarious Solve-Along-A-Murder-She-Wrote. The Festival also includes a cabaret for children, Petit Cabaret, and masterclasses with Jennifer Holliday and Alison Jiear, as well as the Grand Final of the restored Sydney Cabaret Competition. In the immortal words of Fred Ebb: What good is sitting alone in your room? Come to the Cabaret, playing between the 5th and 14th July, 2019.